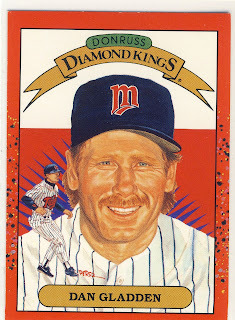 Dan Gladden is the very definition of a Fan Favorite. 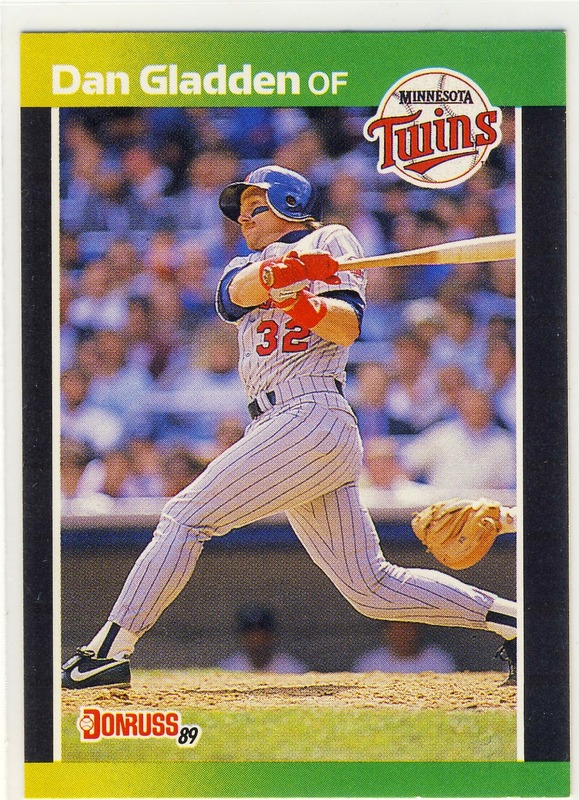 He roamed the outfield for the Twins two World Championships in 1987 and 1991 and and graced a Sports Illustrated cover or two or three. 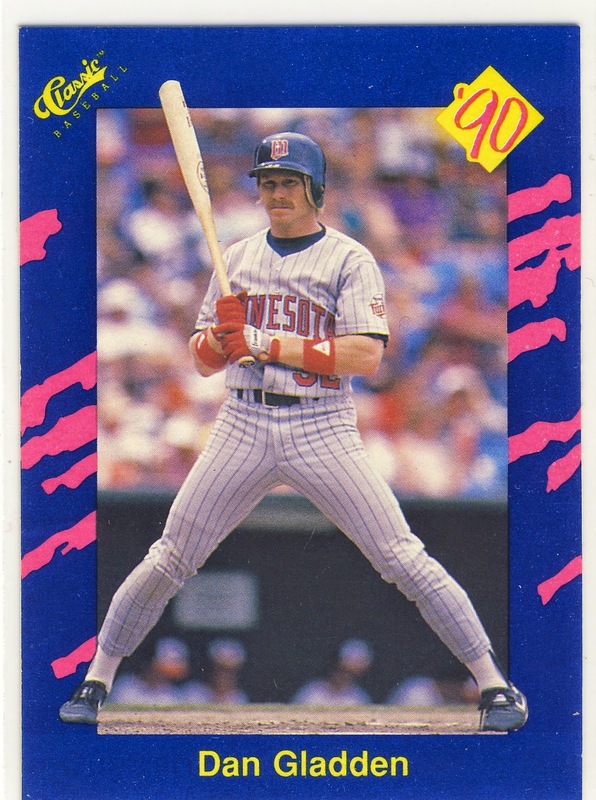 I doubt he would ever have to pay for his own drink in a bar in the Twin Cities again. 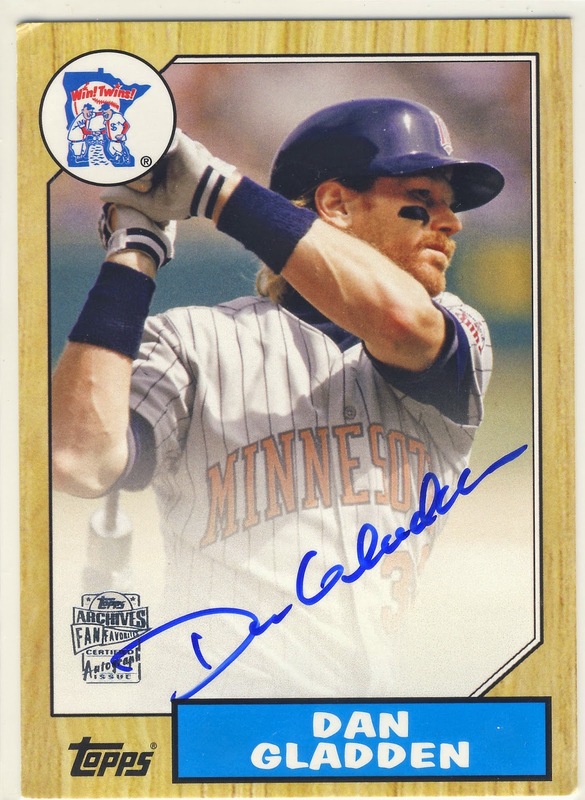 He was a perfect choice for the Fan Favorites autograph set of Topps Archives from last year and I finally got around to picking one up. 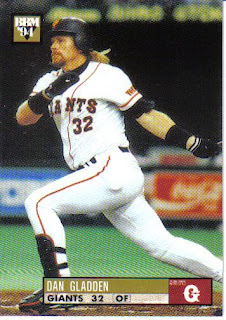 I had totally forgotten that he played in Japan for the Yumiri Giants during the baseball strike in 1994-1995 and found that he has a Japanese card floating out there somewhere. I stole this image from the Japanese Baseball Cards blog and I've added this card to my long term want list as I doubt I'll ever stumble upon it at a card show. And one last thing, did you know that Dan's daughter is married to Gary Gaetti's son? How great is that! Nice cards. That's pretty cool about his daughter and Gaetti's son!